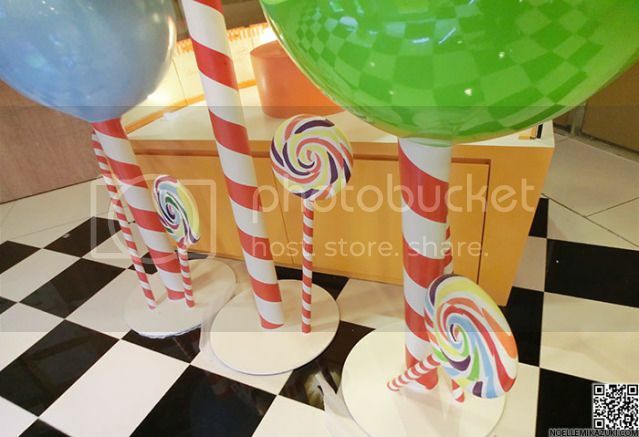 Disclaimer: Pictures were taken when the shop was under renovation thus photos might differ slightly as not all the decorations/equipments are installed up yet. 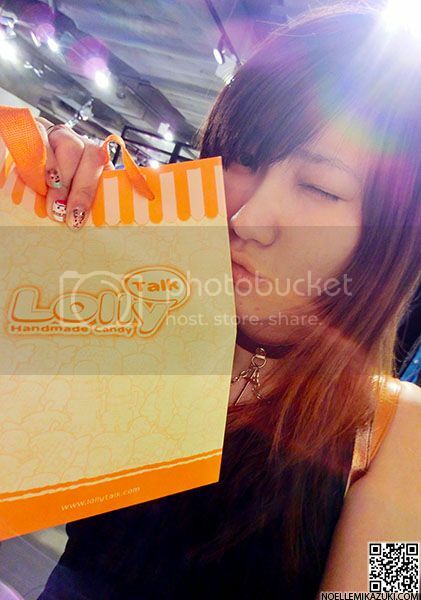 But, ITS STILL SUPER COOL TO HAVE THE PRIVILEGE TO VIEW THE STORE BEFORE YOU GUYS DO, wahahahahaha! HELLO HELLO. 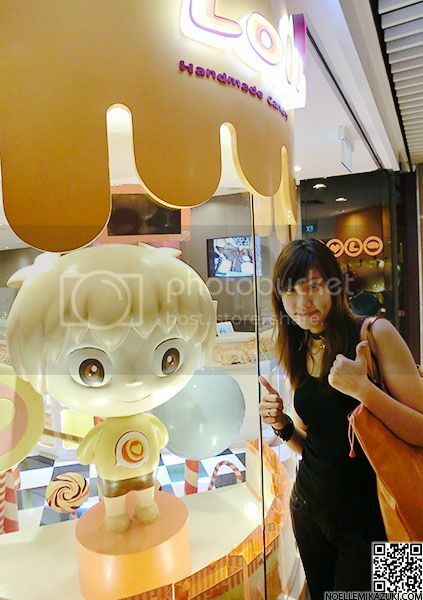 Believe many of you out there are sweet toothed like me! 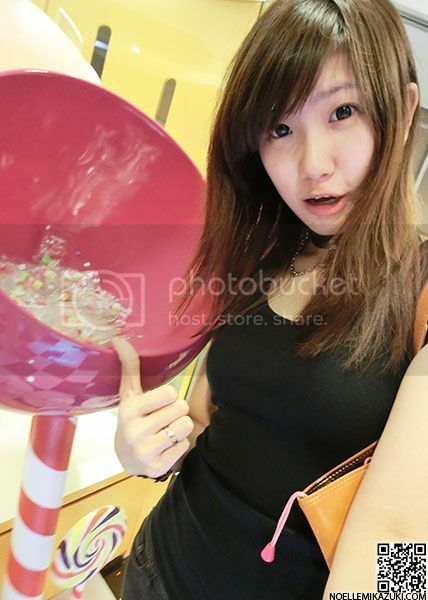 I'm here to introduce to you this very special & unique Rock Candy Maker. I believe that just by the name itself, it brings you a lot of interest to it doesn't it? 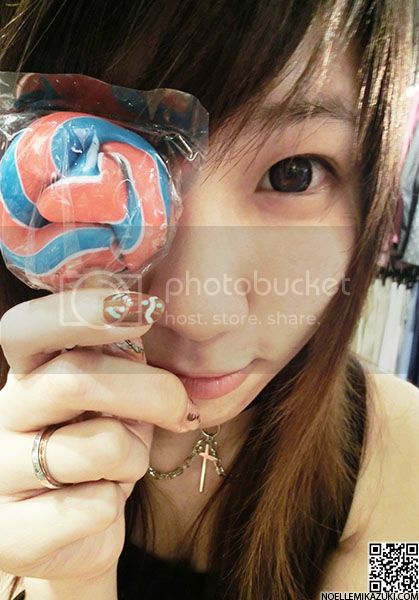 :) When I first came across the name, the first thing that came to my mind was a lollipop talking to me! 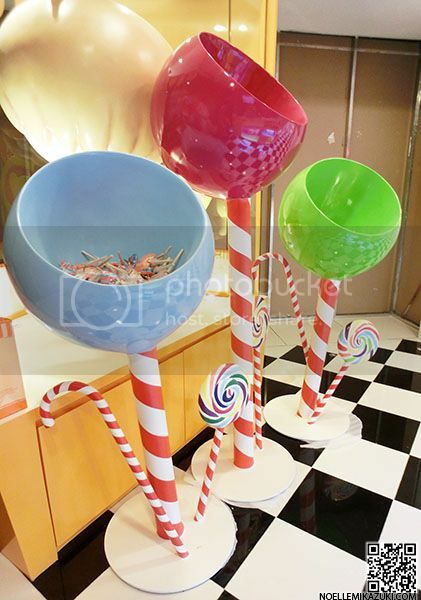 LollyTalk is a local based company that makes their own rock candies fresh from the scratch!! 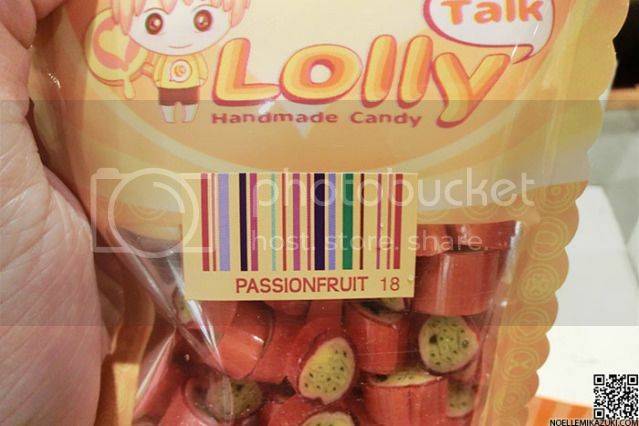 And the founder of LollyTalk is an apprentice of Ross & Judy who won the Grand Champion Rock Candy, and several awards at the 2009 Royal Melbourne Fine Food Awards, Australia’s premium fine food event that is held annually to give recognition to outstanding producers in the Australian fine food industry, including all its major candy and dessert makers!! Can you believe how awesome it is? 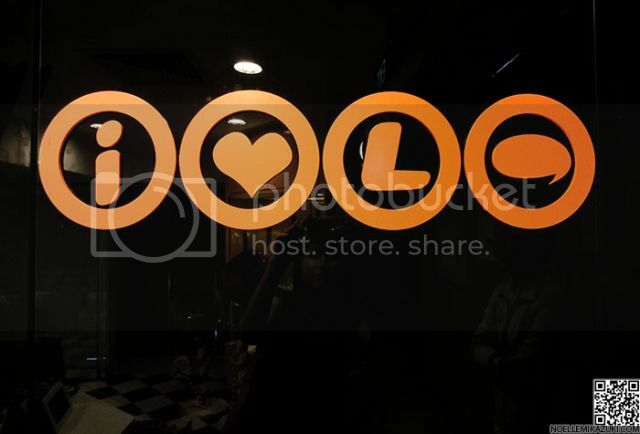 And no, this is not the end of the awesomeness of LollyTalk. READ ON!! 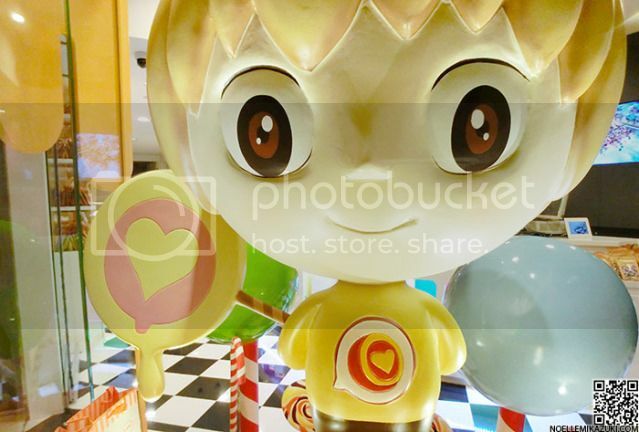 He's the Mascot of LollyTalk, ROCKY. 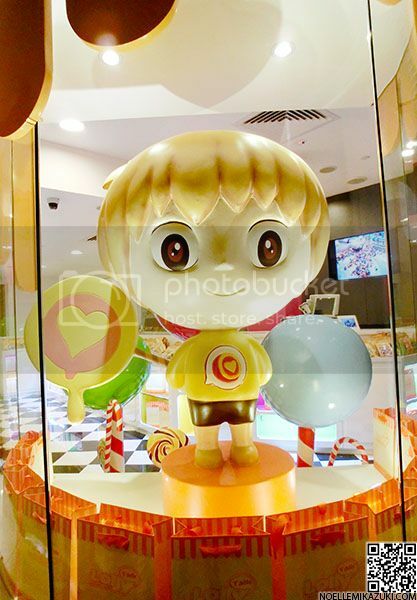 He also has a friend CANDY which are both designed by a renowned Art Director who oversaw the artwork of several Korean online games! 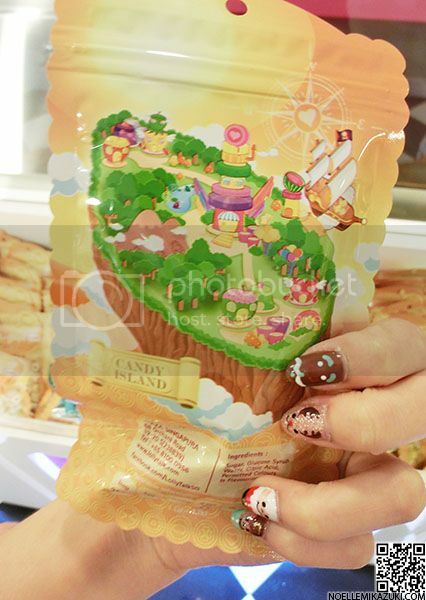 And both of them lives on an island called Candy Island!! 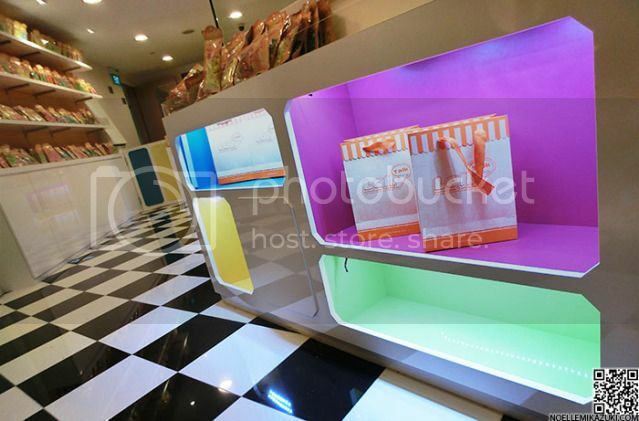 Really cute shelves that are made at such level because this is the eye level of children!! See what I mean by feeling really light hearted?? You really have to make a trip down to experience it, really!! 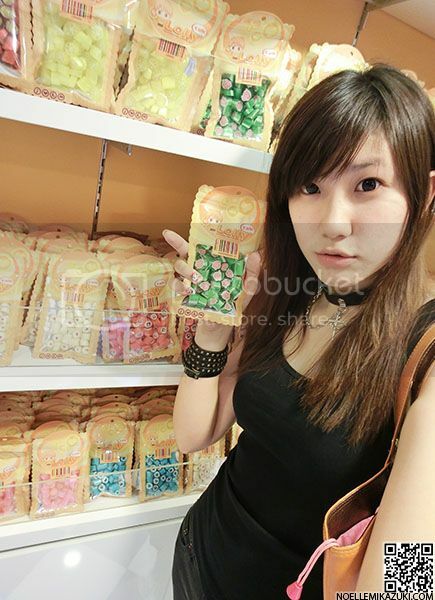 I'M FLOODED WITH ROCK CANDIES BEHIND ME, OMO!! 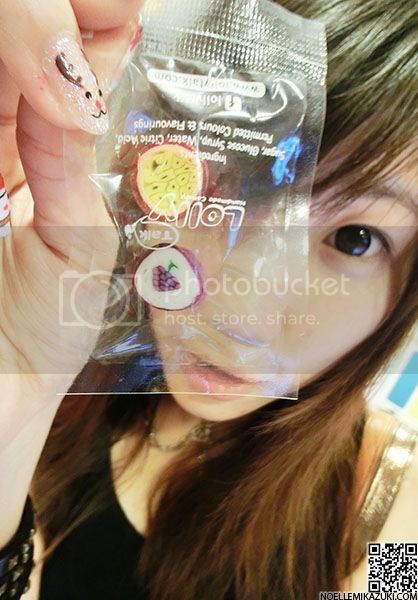 Do you see these small looking candies behind me? Nope, they're not for sale. THEY'RE SAMPLES. 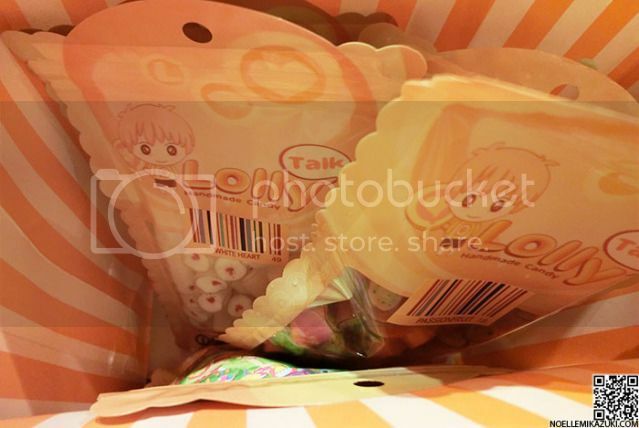 Really pretty bag for you to put your purchased rock candies!! THIS IS SOMETHING REALLY COOL. I swear it's really cool cause I've never seen a COLOURED BARCODE before. 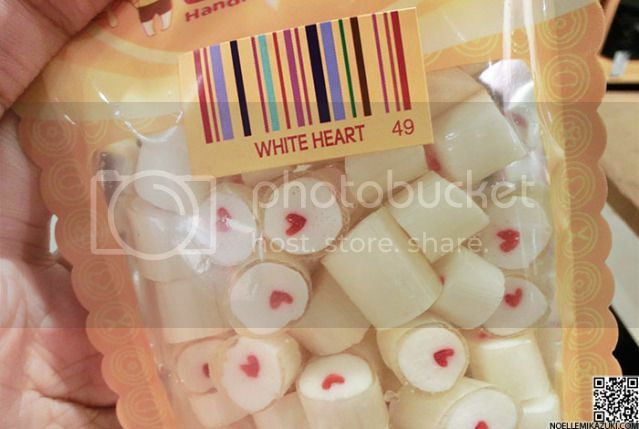 At first I thought it was just a design, but when I asked the candy maker, he said it was a real barcode that could be scanned!! Omg. 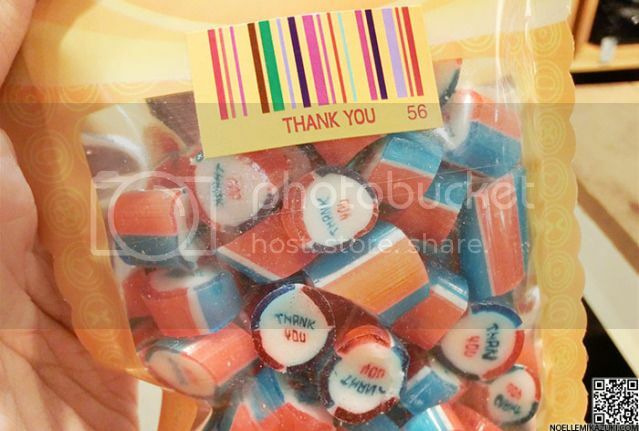 And customized THANK YOU design! 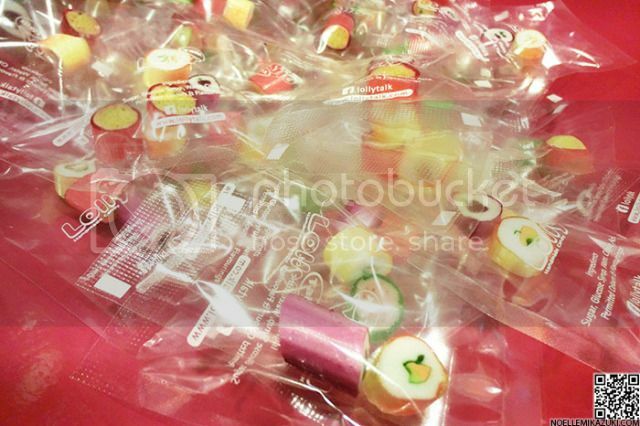 They do offer & provide customisations of rock candies too! 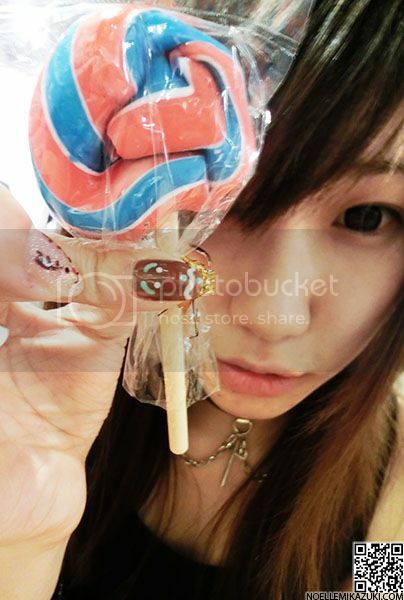 To me, what differentiates LollyTalk is they're attitude towards making rock candies. 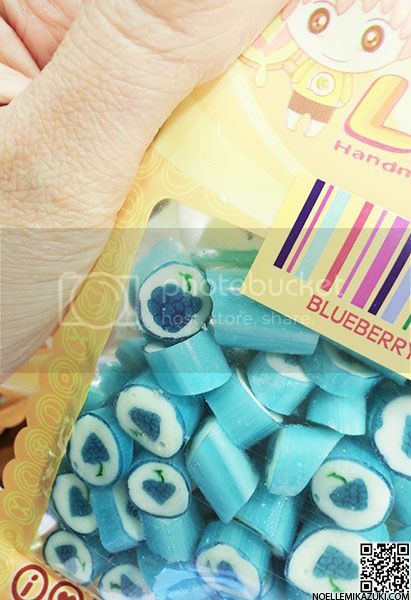 They do not only make candies, they create happiness in people too! 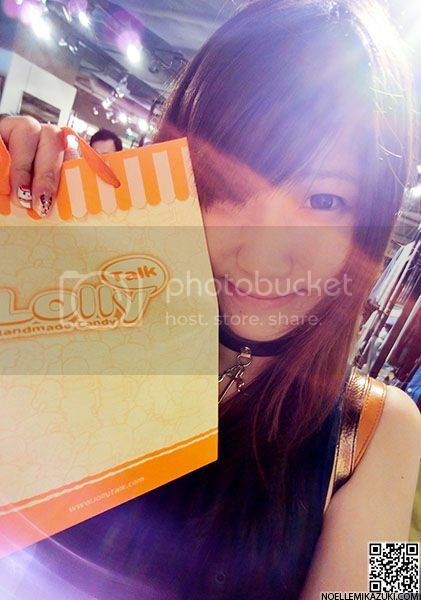 After my trip down to LollyTalk, I felt really jolly and happy!! And I'm serious, you really have to head down to experience the ambience to understand it! Don't be. Because I'll be holding a giveaway for my readers!! 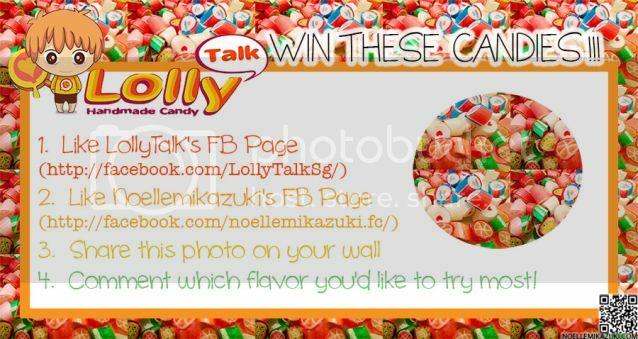 Just follow these simple steps and stand a chance to win one packet of rock candies!! 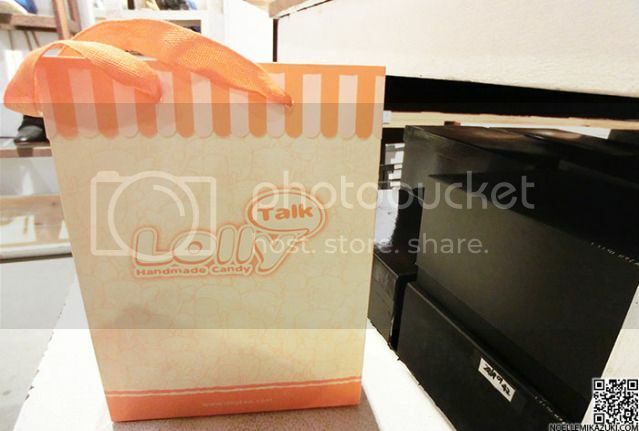 There'll be 10 winners from this giveaway..so..JOIN NOW!!! 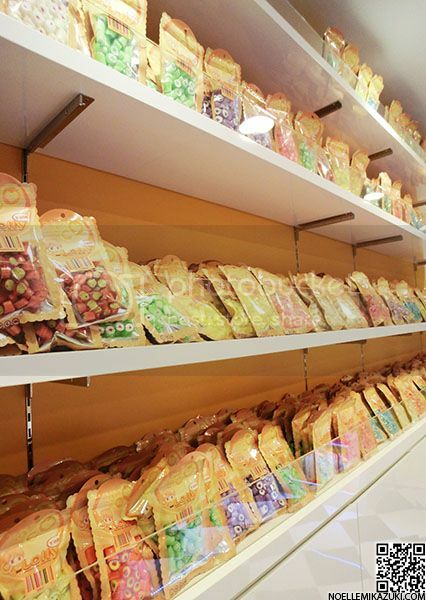 And if you don't know what flavour they have, just head down to LollyTalk this Friday to take a look! 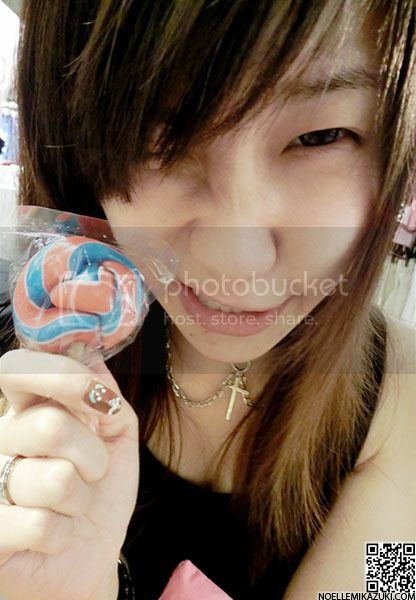 ALL THE BEST :):):) Giveaway will end on the 11th of January 2013. I'll be heading down for the opening too, so..SEE YOU GUYS OK? Yea! I'm glad you love my "BF" Rocky too!